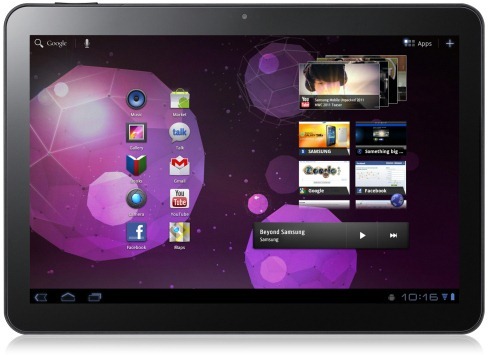 Do you want to buy a Galaxy Tab 10.1? No? Well, that's pretty understandable, but for Samsung, a US sales ban on the tablet issued earlier this year has been a symbolic thorn in the company's side throughout its ongoing legal spats with Apple. Today, after a decision from the Federal Circuit Court of Appeals indicating the issue was ripe for review, that ban was lifted. Judge Koh, reviewing the issue on the grounds under which the injunction was granted, found that the Galaxy Tab 10.1 was not infringing the patents which Apple based its injunction request on. This falls in line with the jury verdict on the Tab 10.1's non-infringement of Apple's design patents. The Tab 10.1 was found to infringe none of Apple's design IP, though it was deemed to infringe several of the company's software utility patents. Apple, though, did not receive the injunction based upon those software patents. As such, Judge Koh was basically forced to lift a ban that could very well go back into effect in December on new grounds after final judgment on the matter is issued. Still, Samsung is probably enjoying this, admittedly small, victory, especially after the beating it took during the trial.